This time of year I look forward to picnics, summer lunches and garden parties. I enjoy cooking for other people but I try and keep it simple, that way I can enjoy the day. This delicious tart is so easy to make and is always a hit. For a healthy lunch serve with a green salad. I happen to love potatoes, so I also make a potato salad. The herbs in my garden are still very tender at this time of year and add a variety of flavours to the salads; I like to add chives, basil and parsley. Pre-heat the oven to fan 200C/220C conventional/gas mark 7. Line a baking sheet with the ready rolled pastry and prick lightly with a fork. Scatter all the Parmesan over the pastry base. Drain the peppers and pat dry with paper towels (make sure you do this thoroughly, so as not to make the pastry soggy). Lay the peppers width ways across the pastry base. Bake for 15 minutes until the pastry is puffy and golden. 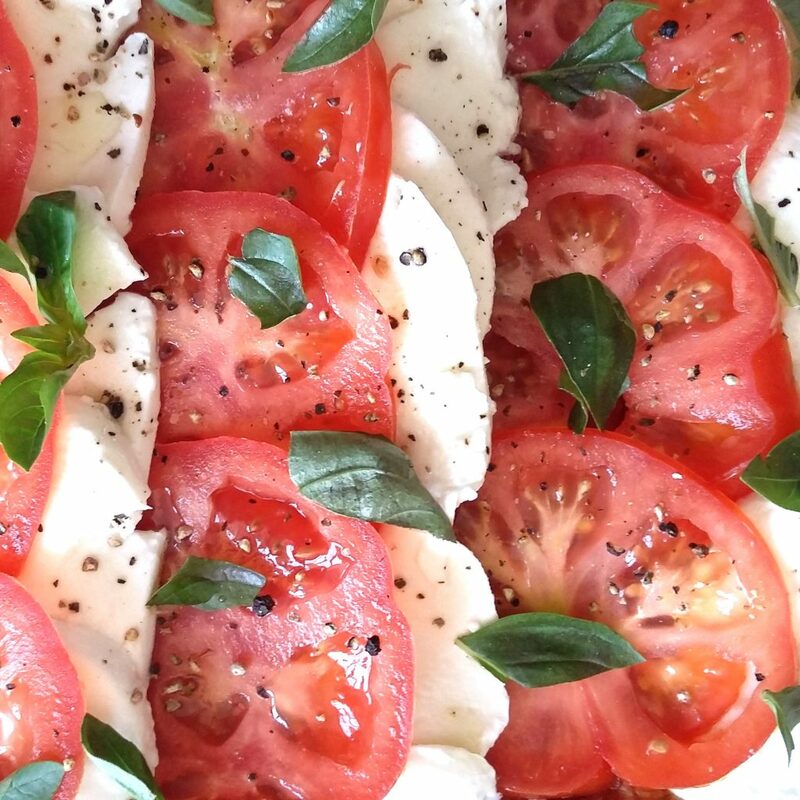 Slice the tomatoes and mozzarella and lay alternating in rows over the peppers. Drizzle with olive oil, scatter with basil leaves and a grind of black pepper then serve while the pastry is still warm. 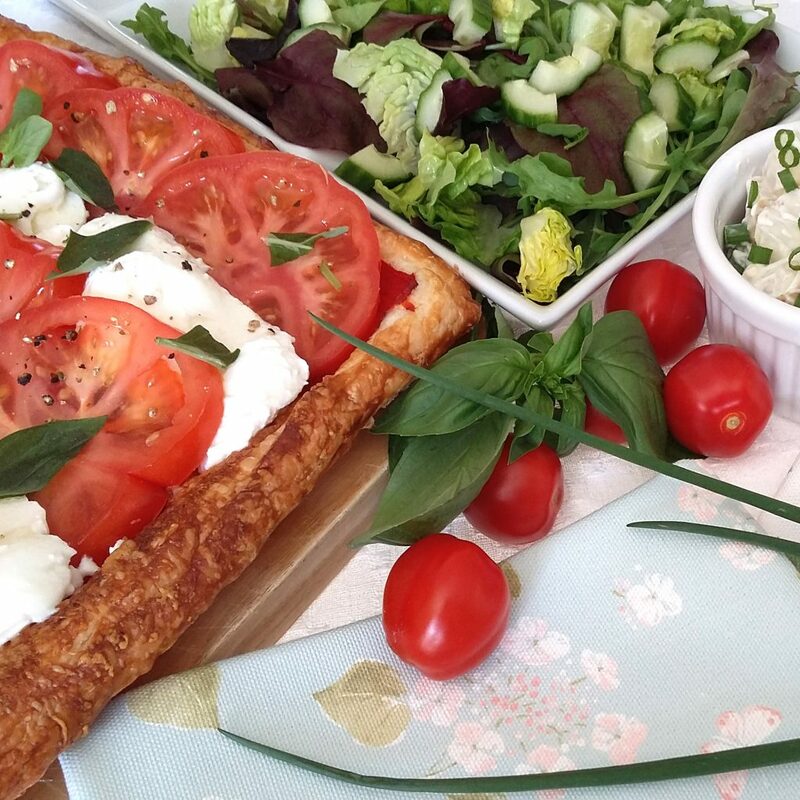 Serve with salads and chilled white wine, delicious!